My pool is losing water! What should I do? Q: My pool is losing water! What should I do? 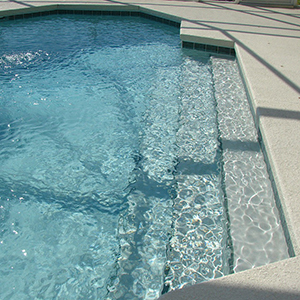 You can expect some water loss due to evaporation and splash out during swimming. The evaporation rate varies by season, area in which you live and amount of time you run your water features. You will experience greater loss of water through evaporation, the greater the difference between warm air temperatures and cooler water temperatures. If suspect you are losing an above average amount of water in your pool, check all plumbing and equipment for leaks, inspect backwash line for water bypassing valve and inspect interior of pool for cracks. Please contact us to schedule a service call for visual leaks at equipment or contact the structural warranty department for non-visual leaks to discuss possible scenarios. Call Santa Barbara Spas at (805) 252-9502 if you have any questions. © 2019 Santa Barbara Spas All Rights Reserved.